“Captain Marvel” is the 21st movie in the Marvel Cinematic Universe – the first to have a female superhero as the lead. The movie is currently sitting at a solid 80 percent critic score on Rotten Tomatoes, but is currently at a disappointing 57 percent audience rating. I don’t know how much that has to do with some of the more political debate surrounding this movie, but I honestly couldn’t care less about that. This review will be solely based on what I thought were the positive and negative aspects of the film. 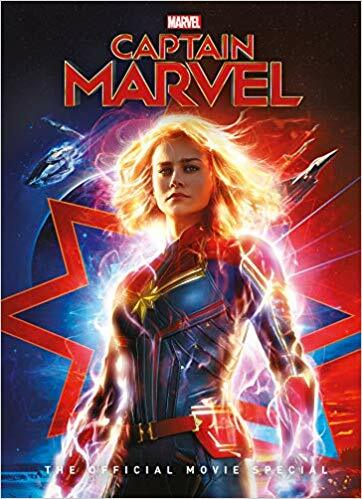 For a quick non-spoiler synopsis, the story is set in the 1990s and centers around Carol Danvers (Brie Larson), or “Vers,” a Kree soldier with incredible powers and no memories of her past. The Kree are at war with the Skrulls, and after Danvers and a group of Skrulls crash land on Earth, she teams up with Nick Fury (Samuel L. Jackson) to stop the pending invasion. Along the way, she begins to uncover the secrets to her past and unlocks her potential as the most powerful hero in the universe. Starting with the positives, the visual effects are marvelous. The de-aging effects used on Samuel L. Jackson and Clark Gregg (Agent Coulson in the movie) are so good that if I didn’t know what Jackson and Gregg looked like in real life, I wouldn’t have even known that any effects were used. There was never a point where the visual effects were so glaringly bad that they took me out of the movie, which is an issue many Marvel movies have. The effects used on “Captain Marvel” in the final act look awesome and really enhance the action scenes. There are several plots being juggled in this movie, but I found the amnesia storyline – which contained a big twist – to be particularly engaging. I thoroughly enjoyed how the audience never really knew more than Captain Marvel at any moment. We were with her throughout the whole movie as she was learning her past, so any big discovery made was just as impactful on the viewer as it was on the characters. This is also what made the twist so effective – for the whole movie, the audience is convinced that the Skrulls are bad and the Kree are good because Captain Marvel is so confident of that. So when we learn that Yon-Rogg (Jude Law) and the Kree are actually bad, it impacts the audience just as much as it impacts Captain Marvel, making for an effective twist. The cast also did a fantastic job in this movie. Ben Mendelsohn always gives a good performance as a villain, but he added a certain level of depth to the Skrull general Talos that makes him really resonate with the audience. Mendelsohn played a convincing villain in the first half and a relatable ally in the second half – executing that transition extremely well. Samuel L. Jackson did a great job, as expected, but the biggest standout actor for me was Lashana Lynch as Maria Rambeau. Lynch stole the scenes she was in and managed to stand out amongst the rest of the cast. There was one emotional scene in particular where she out-acted Academy Award winner Larson and managed to convince me of the connection between Rambeau and Danvers. Speaking of Larson, while there are a few problems with her character, her chemistry with Jackson was easily the highlight of the film for me. There is one aspect of the film that I have mixed feelings on, and that is Captain Marvel herself. Larson does a fine job in the role, but the dialogue she was given borders on cringe-worthy at times. The character was written inconsistently as well. It seems like the writers were trying to make Danvers a female version of Robert Downey Jr.’s Tony Stark, but that attempt doesn’t always work. Danvers certainly has the sass of Stark – which Larson pulls off very well and it works overall – but she doesn’t pull off the emotional moments nearly as well. There were some times where Danvers was handled well, specifically with her relationship to Fury and Rambeau. In those areas, I really liked Larson’s performance as well as the writing, but overall her character didn’t wow me. It is hard to determine how much of this is on the writing or Larson’s performance, but I feel like the titular character could have been handled better. However, these downfalls don’t come close to ruining the film for me. As far as negative parts of the movie, the action overall is very bland. While the final act where Captain Marvel is flying around and destroying ships is quite fun, it is the more grounded, hand-to-hand combat scenes that are lacking. The scenes follow the typical Marvel style of using a lot of cuts, to the point where it is hard to tell what is happening at times and the audience doesn’t really feel the impact of the punches. “Captain Marvel” also lacked some of the creative action scenes that other Marvel movies have. For example, in the “Ant-Man” movies, the action is really engaging because of all the creative things that can be done with shrinking technology. Those action scenes are memorable and exciting, and “Captain Marvel” doesn’t really have any action scenes like that. The only one that comes close to that is the flying through space scene, and most of that can be seen in the trailers. The biggest problem is that this movie can’t really decide what story it wants to tell. At times, it’s a classic amnesia story, other times it’s a buddy-cop film between Danvers and Fury and at other times it’s a fish out of water story. While all of those storylines are enjoyable in their own right, they don’t really mesh together well and it harms the flow of the movie. It is painfully obvious that this story was written by five people – it seems like they all came up with their own ideas, mashed them together without cutting any ideas and made a movie out of it. Another negative for me is the over-abundance of ‘90s references – specifically the soundtrack. I love ‘90s music as much as the next person, but the way it is used in some of the action scenes completely pulled me out of the movie. For example, No Doubt’s song “Just a Girl” is used in a fight scene, and while it fits with the theme of the movie, it doesn’t mesh well with the action that it is playing over and comes across as a discount “Guardians of the Galaxy” action scene. This is more of a subjective complaint rather than an objective one, but the music used took me out of the movie at a few crucial points. The final negative for me is a rather small complaint in the grand scheme of things. There are several points in this movie where it shows the origin of important things in other movies that either don’t work, or are infuriatingly foolish. For one, the scene where Fury lost his eye because of Goose the cat/Flerken scratching it has to be the biggest offender of this. The mythos behind Fury losing his eye has been hyped up in other Marvel movies, so audiences expected him to lose it in some awesome action set piece or from a tense dramatic moment. However, that was not delivered. Fury loses his eye near the end of the movie after getting scratched by a cat. I know it’s a bit nitpicky, but the movie relies heavily upon references and callbacks, and it drags the movie down for me. Overall, “Captain Marvel” is a mediocre Marvel movie. There wasn’t anything in the movie that wowed me, but there also wasn’t anything in it I hated with a passion – except for how Fury lost his eye. The message of the movie is good, but a good message doesn’t make a good movie. DC’s “Wonder Woman” was able to do both, but this movie fell flat for me. It’s still a very watchable film with many enjoyable parts, but on the whole, it doesn’t do much to stand out amongst the 20 other Marvel movies.